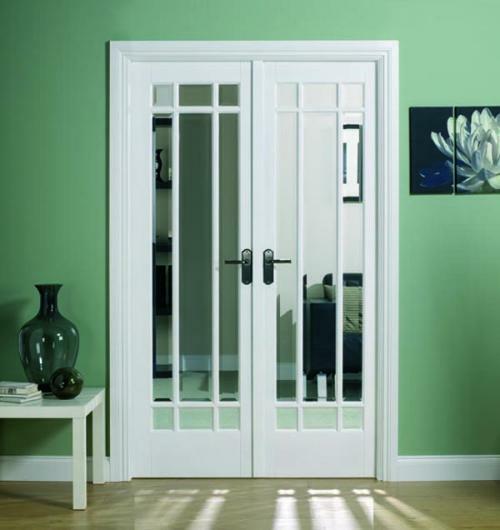 Manhattan internal French doors are room dividers that help you to create a light and airy space. Manhattan doors have an attractive vertical bar detail, providing just the right balance between style and practicality. Easy to operate, you can enjoy extra space and natural light when you install a set of internal French Doors. Manhattan French doors create a contemporary appearance with clean, simple lines making them suited to complement most interior designs and decor schemes. The full height glazed doors provide extra light into your room and are fitted with toughened glass to meet safety standards and peace of mind. The Manhattan French doors are available in standard sizes with a sidelight option and come complete with frame pack, door leaves and installation instructions.